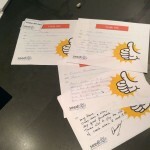 Today one big validation from one of our teams: how important is saying THANK YOU. Yes, as a coach and scrum master, it is one of the most important things I like to do; however, teams sometime do not see the impact of something as simple as saying “Thank You”. 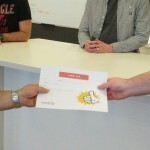 Each member needs to complete 3 certificates for internal team members. Each member needs to complete 2 certificates for external team members. In “For” team member needs to put something that helped him/her to do a better job. The idea is avoid comments like “For: he/she is a good team player” or “For: he/she is good team member”. Each certificate (+ one “gift” card) will be delivered “in person” for the full team. As a team member, if you complete 5 certificates, you also will receive one “gift” card. As you can see; this was a very simple activity that had a big impact on all teams. 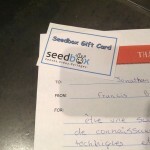 Other teams were very surprised when one full team of people approached their desks with a “Thank You” certificate and a gift card. People were proud of each certificate. The team was very happy with the impact and other teams realized how important their work is. The result of this retrospective was amazing. If you haven’t tried it yet, please do it; you will see how much fun this activity is and the impact you can have with this simple “free” activity. If you have already tried it, please share your experience and result. I really like hearing about other’s experiences. I am so happy I could help you with this idea, don’t hesitate to share results here. I think is a good idea. Sometimes people don’t say thanks as often as necessary. Great action to boost motivation through the team. I surely will try it next week in my retro. Thanks Richard for your comment. Don’t hesitate to come back and write down the result of this activity in your team. 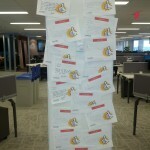 Hi Omar, last Monday I did a special retrospective including this thank you exercise. The result was fulfilling, as people at first was shy but finally could thank these things we normally omit. I think it is a good practice to add each 2-3 retrospectives. It is a big pleasure to listen that. I am more of happy. Check the result now, we did it like 5 or 6 weeks ago, people is keeping their certificate at their desk and showing it with a lot of proud. Thanks a lot for share your experience with us. I got this link from one of my colleagues. Really nice ideas. Gifts and the gesture of showing gratitude will definitely improve team building.